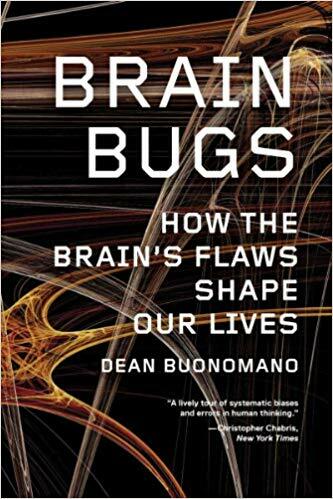 …our brain bugs range from the innocuous to those that have dramatic effects on our lives. The associative architecture of the brain contributes to false memories, and the ease with which politicians and companies manipulate our behavior and beliefs. Our feeble numerical skills and distorted sense of time contribute to our propensity to make ill-advised personal financial decisions, and to poor health and environmental policies. Our innate propensity to fear those different from us clouds our judgement and influences not only who we vote for but whether we go to war. Our seemingly inherent predisposition to engage in supernatural beliefs often overrides the more rationally inclined parts of the brain, sometimes with tragic results.